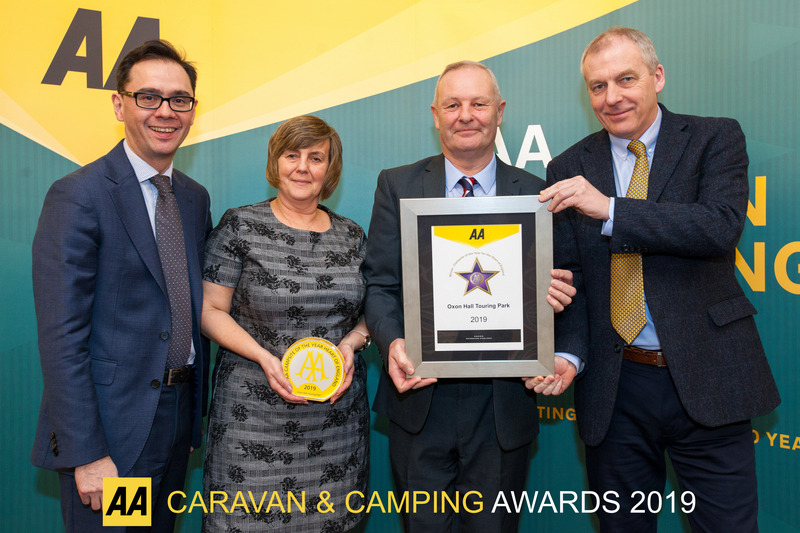 Our Oxon Hall Touring Park has been named the AA Heart of England Campsite of the Year for 2019 which will be published in the 2019 edition of the AA Caravan & Camping Guide. The guide features the very best spots for caravanning and camping in Britain. It’s not the first time the park has been successful in the awards, having been named AA Campsite of the Year for England in 2006. Our Park Managers will receive the award at the AA 2019 Camping Awards presentation lunch in Stratford Upon Avon in February. The scenic park, which is open all year round and has 100 all-weather pitches, enjoys an attractive and tranquil parkland setting close to the road network to Mid and North Wales. Particularly popular with people attending major events in Shrewsbury, the park also provides a convenient base to explore the Welsh Marches. The AA said of the park: “Oxon Hall is a popular touring park located a few minutes’ walk from Shrewsbury’s Park and Ride, providing regular buses to the historic town with its many attractions and excellent facilities. “The main strengths of this park are its excellent landscaping, pitch quality and high standards of customer care. The hardworking grounds team create a wonderful display of colour, whatever the season and a balance of indigenous and cultivated planting combined with neat, lush grassed areas, results in a feeling of peace and tranquillity. “Within the grounds and adjacent to the excellent, well-stocked shop is a wildlife pond, with a large variety of wildlife. The shop also displays a wide range of caravan accessories in addition to provisions and the smart reception. “Level and spacious touring pitches are generously spaced to ensure optimum privacy – many are deeper to facilitate the larger units including RV motorhomes. The modern, heated amenities block is tastefully designed with stylish decor, modern fixtures and fittings and good privacy options.